ons were asked for by the CyanogenMod team for getting new servers and behold, as expected, many Android enthusiasts helped in the cause and got the CyanogenMod back on track. 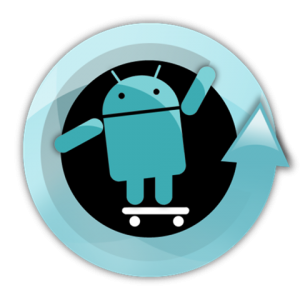 The donation goal was achieved in hours and after a few days the team released all new nightlies for the CyanogenMod 9, which is based on the Android 4.0.3 Ice Cream Sandwich, for the Galaxy Nexus, Motorola XOOM and Nexus S. Below you can read how to install or flash this ROM on the supported devices! More nightlies for other devices will also be released, and they can be downloaded from here. Step 2: After the download process, place the .zip file under ‘sdcard’ on the device’s internal storage. Step 3: Now shut your device down and then press and hold the specific combinations of buttons to boot into the device’s ClockworkMod Recovery. You can find various combinations for different devices from any internet search engine. Step 4: Just take a NANDroid backup, to be safe. Step 5: Next, from the main menu, ‘wipe data/factory reset’ and from the advanced menu ‘wipe cache’ and ‘wipe Dalvik’. Keep in mind that this will delete all the personal data on the device. Step 6: Navigate to ‘install zip from sdcard’ then ‘choose zip from sdcard’ and then select the .zip file which you transferred in Step 2. Doing this will flash the CyanogenMod 9 Nightly to the device. Step 7: Finally, choose ‘reboot system now’, and you’re ready to go. So, there you have it, your device should boot into the new ROM which is based on the Android 4.0.3 Ice Cream Sandwich. Enjoy!